What is the best way to use Termidor SC to kill crazy ants in a high-rise apartment unit? Unfortunately, Termidor SC is not labeled for indoors use other than as a wall treatment for termites. So basically you cannot spray it indoors. If you want to use a Termidor product indoors, then consider using Termidor Foam. 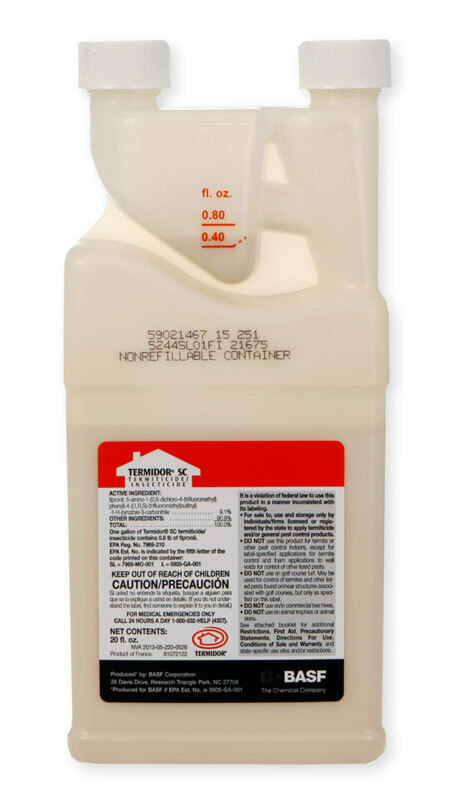 Termidor SC is only labeled to be applied around the outside perimeter of the building, 1 foot up and 1 foot out. It is not labeled to be applied to lawns, etc, in most states. Termidor foam can be injected into walls beside switch plates, around plumbing lines (where they lead into the walls), into cracks, crevices, etc. For Crazy ants, I would either consider Termidor Foam as just described, or consider using baits, such as Advion Ant Bait Gel. We are getting good reports of control with Advion. It is applied the same way as Termidor Foam. Don't apply both at the same time. Choose one or the other.